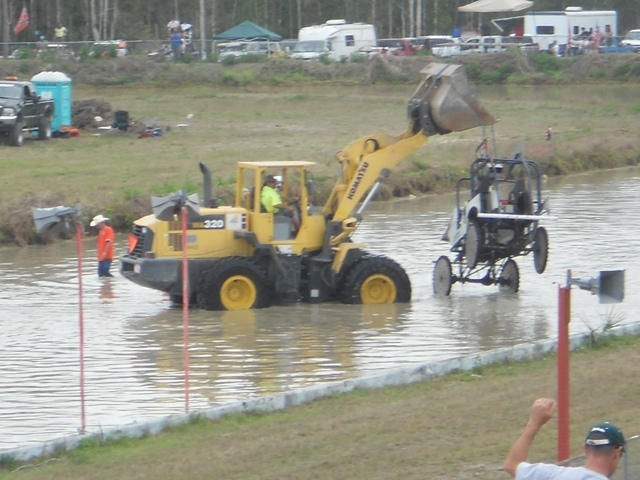 Swamp Buggy Racing. 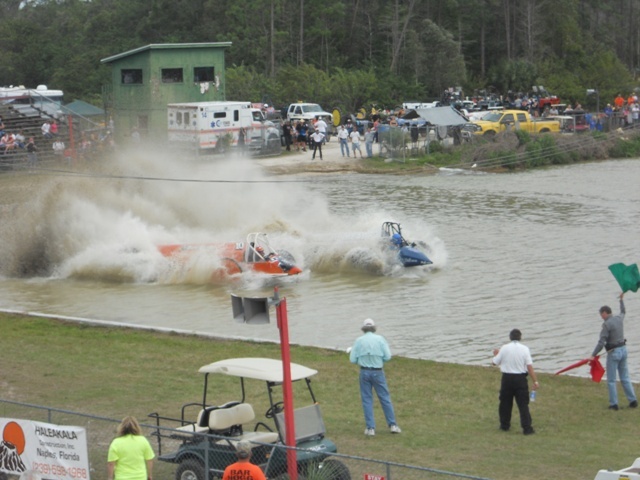 If I didn’t have the included photos I wouldn’t even try to describe this SW Florida “sport”. What a blast! Though I still don’t know what the various classes were, I did find out that the big boys were running about 800 HP. 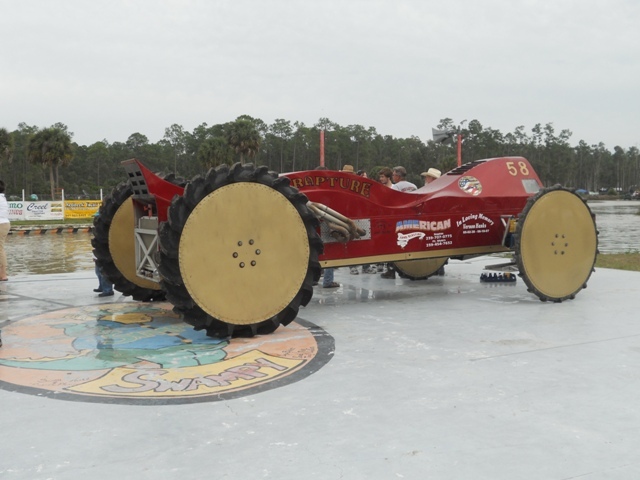 These buggies only race three times a year and only at this track in Naples area. 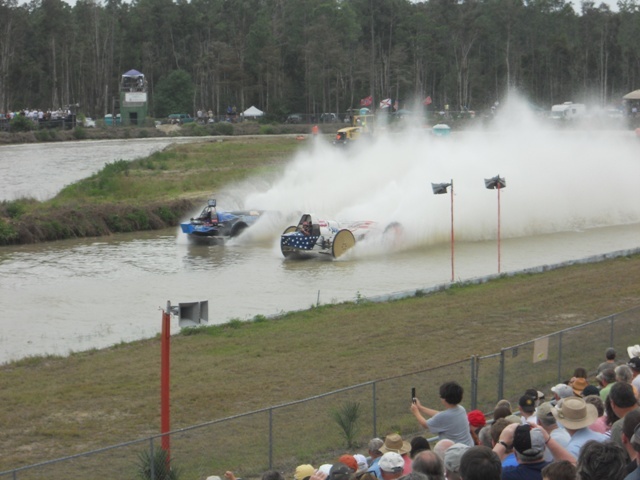 The idea is to win a race through water with a couple sippies (that’s at least what I heard). A sippy is about a 3’ hole on the bottom of track that the big guys jet across and the little guys go down into and then back up and out (most of the time). Definitely slows them down. 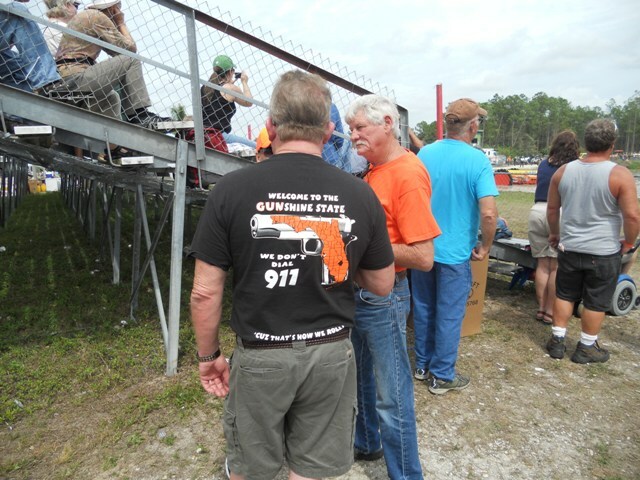 From what I was told, I expected to see a crowd of rednecks and it seemed to be true based on one of the first t-shirts I saw (photo below) and the few confederate flags. 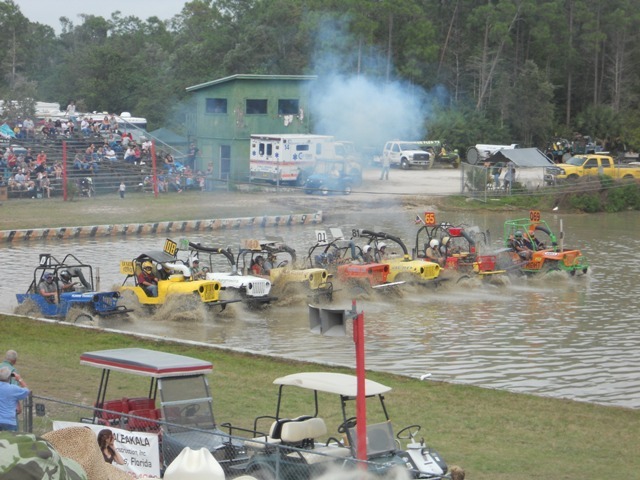 But it was really a bunch of good ‘ol boys who just like their swamp buggy racin’. And, I might add, they clearly come from all walks of life. They also are very focused on raising money for scholarships in their area. 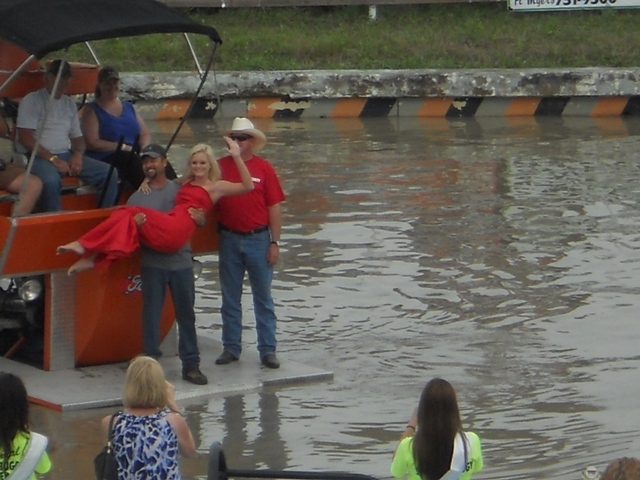 In fact, they sold raffle tickets for roughly $1 a piece with the winner splitting the pot with the charity. Winner got $5100! Yes, they raised over $10K on the raffle. Hard not to support that kind of community outreach. More surprisingly, they also sold tickets to support a former racer with issues. That wasn’t surprising but what was, was that what you would win were firearms. 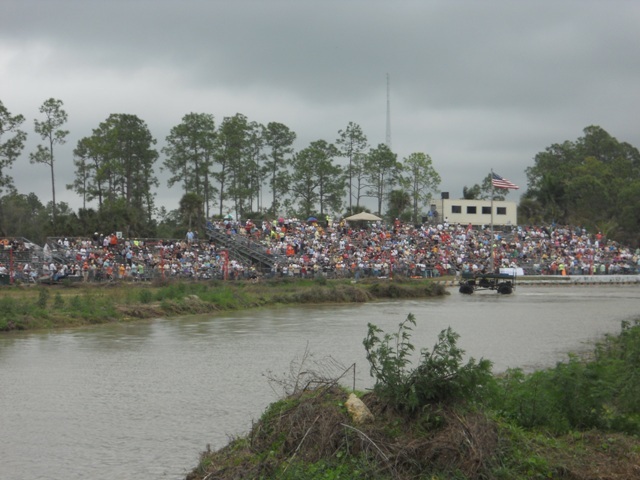 During an intermission a model airplane club put on an air show of their sophisticated models, one of which hit speeds of 120 MPH. However, for my turf friends, you might be more interested in the flying lawnmower. 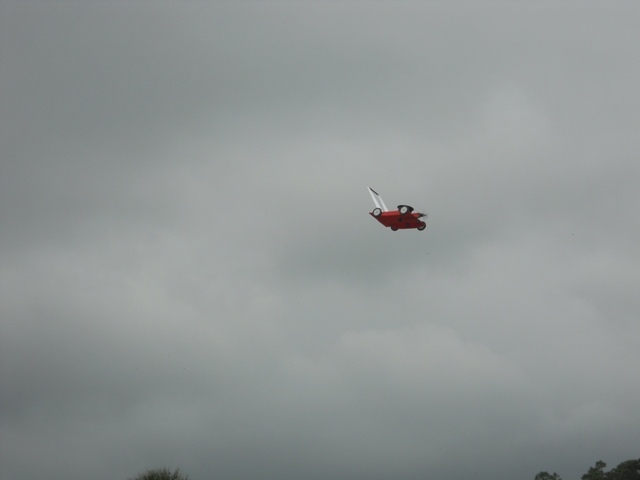 You read it right – a flying lawnmower! They also offered rides around the race course. Could you resist? Finally, the new Champion throws the Queen (reigning scholarship pageant winner) into the sippy. Don’t know why but they’ve been doing it for over 65 years! Gotta love the South! 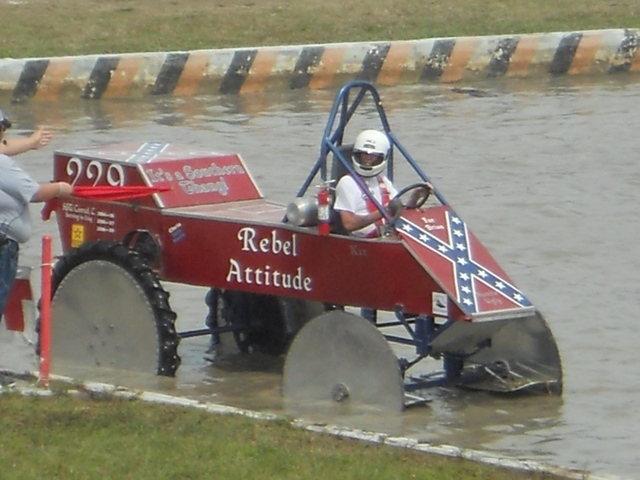 Next races? Last weekend in October. I hope to be there. 800 hp, please, this year I had the opportunity to ride a EMD SD70, a whopping 4400 hp! Maybe in August I get to ride in a M1A2SA that will have 1600 hp. Then Sept. 22, 2012 Afterburners will rule. I give! You definitely win.